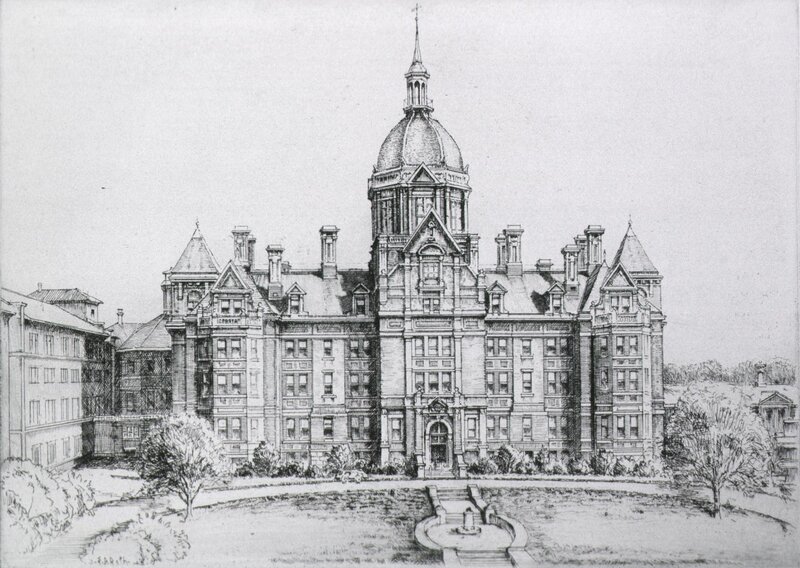 Stewart Mansion Hospital, Baltimore, Md.. Courtesy of Scott Sheads. 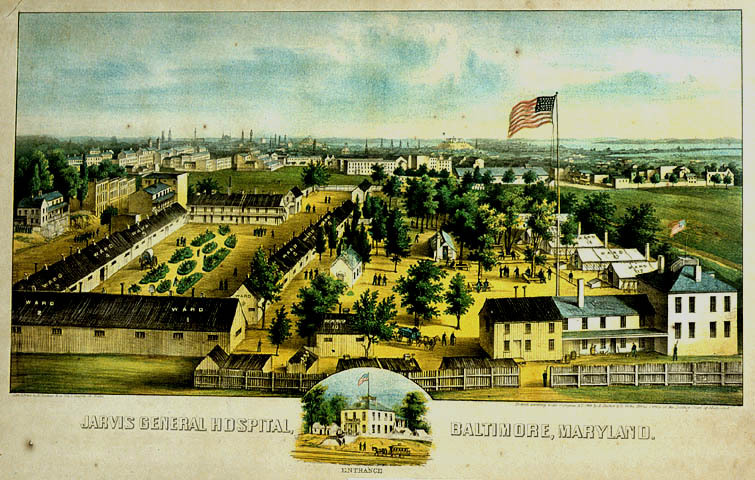 Notes: Hospital records available at the National Archives, Washington, DC. See RG94 Entry 553 for listing of available hospital registers. 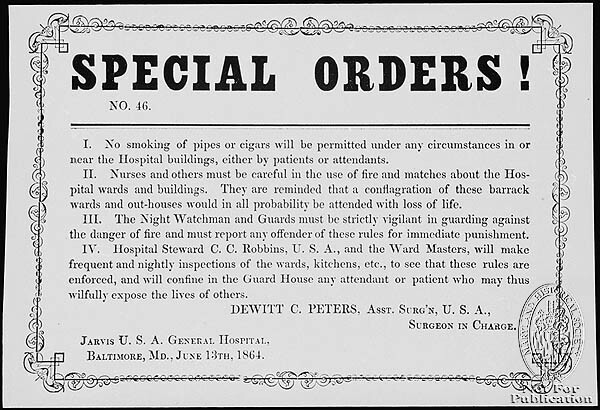 Notes: Female nurses were borne on the rolls of many of the hospitals. 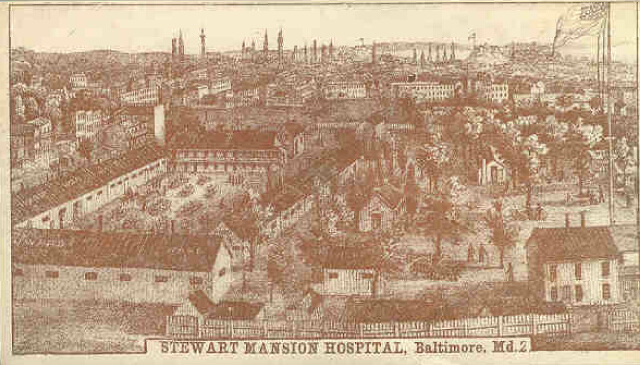 At one time, in the WEST’S BUILDINGS, Baltimore, Md., 20 of 70 nurses were women; at STEWART’S MANSION 15 of 70, at and BEDLOE’S ISLAND, N.Y. Harbor, 10 of 70. These were frequently Sisters of Charity — 40 served at SATTERLEE, 16 and POINT LOOKOUT and 15 at CLIFFBURNE. 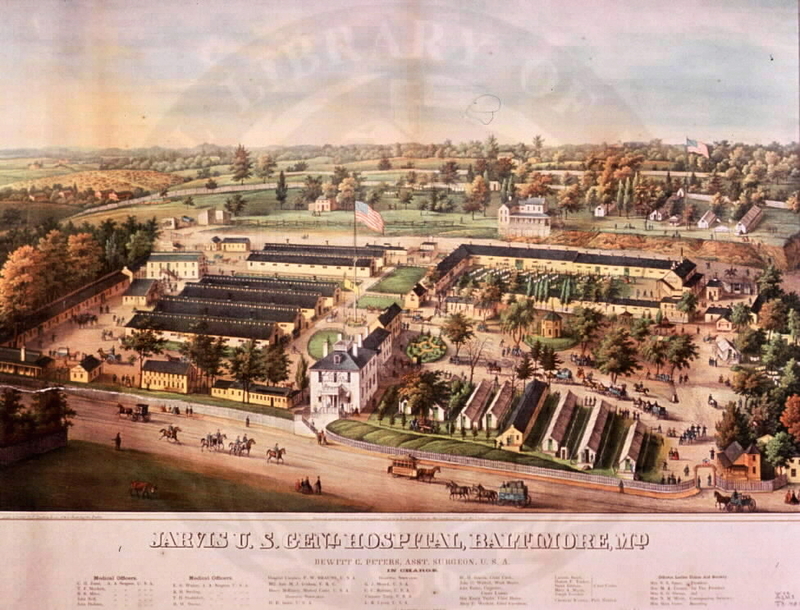 According to the testimony of all the medical officers who have referred to this point their best service was rendered in connection with extra diets, the linen-room and laundry. Male help was preferred in the wards, save in special cases of prostration and suffering where particular care was needful in theadministration of dietetic or remedial agents. Sometimes where no female aid was employed, female aid societies volunteered their services in superintending the extra diets and taking charge of the contribution room.